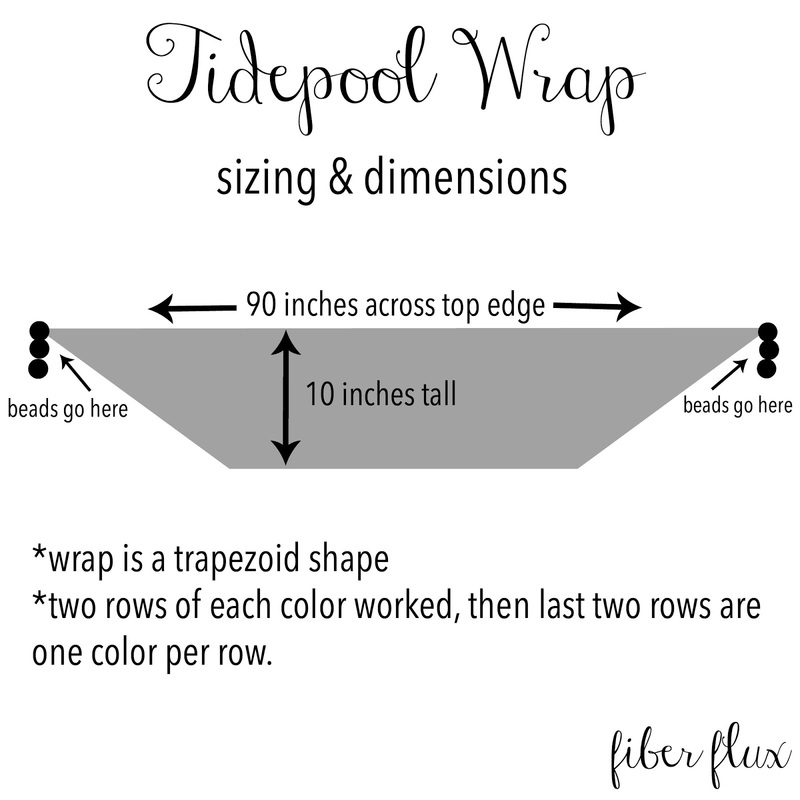 Fiber Flux: Free Crochet Pattern...Tidepool Wrap! 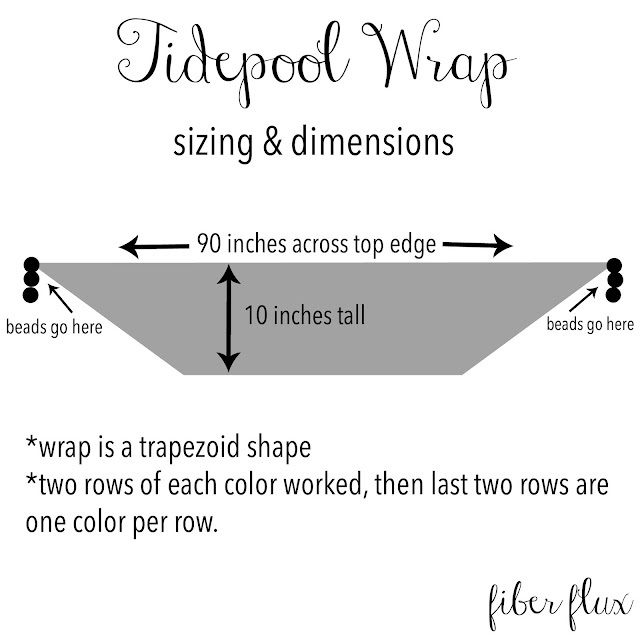 The Tidepool wrap is lacy and comfy with wonderful drape. Crocheted in cool cotton, it is perfect when you just need a little something for the shoulders. Fun beads add a fabulous accent too! Special thanks to Knit Picks for providing yarn for this project! Note: Shawl pictured in worked in two rows per color, then last two rows are one color per row. Row 1: In 4th chain from hook (dc, ch 1, dc) all in the same chain. *Skip a chain, and in the next chain, work (dc, ch 1, dc) all in the same chain. Repeat from * to end. Row 2: Turn, ch 3 and work (dc, ch 1, dc) in each of the chain 1 spaces from the previous row (center of each "V"). At the end of the row, finish with a (dc, ch 1, dc) in the last space (ch 3 turning space). Repeat row 2 until shawlette measures about 10 inches in height, then proceed to edge row. Edge row: Ch 1 and turn. *Work 2 hdc in the first v, then a sl st in the space between the next v. Repeat from * to last v, the work 2 hdc, sl st, in the last v and fasten off. Finishing: Weave a couple of beads onto the yarn tails from the two widest top corners of the wrap. Tie a couple of knots to secure the beads. Weave in any ends that remainand you're finished! 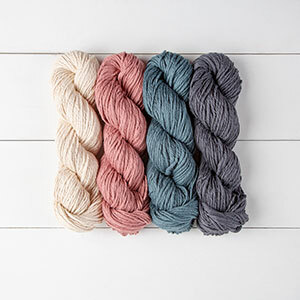 Get Knit Picks Billow here! 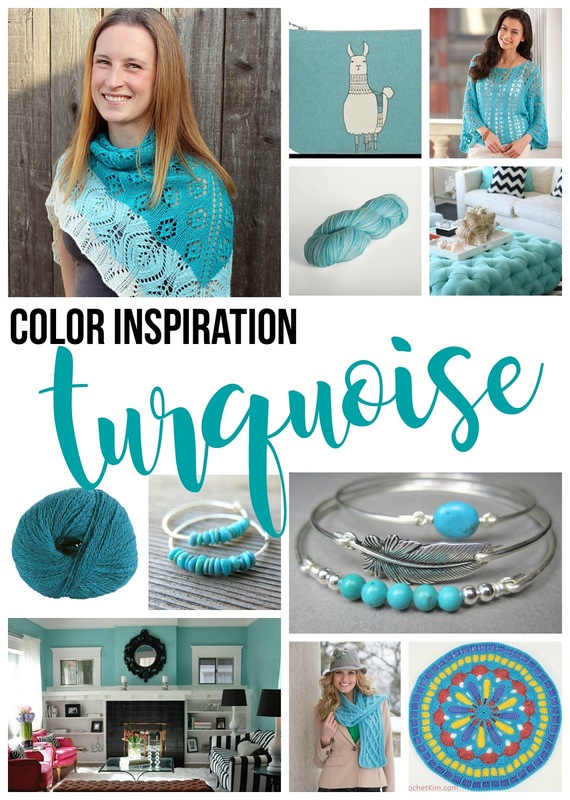 I can't wait to try this pattern. thank you very much! Bravo!! How long is the bottom of the scarf, the starting chain? I tried this pattern using the same needle and yarn but mine wasn't nearly long enough. I started out with 90 chains but the top of the scarf was only about 54 inches. I unraveled it and will start again. A friend of mine text me this picture off pinterest and asked me how hard it would be. (I am a simple prayer blanket/1 stitch crochet'r and she's wanted to learn, but we just haven't had time to sit down to teach her.) I said looked pretty simple. In the meantime, I was looking at ravelry at something else and saw this pattern and clicked on it and it brought me to your lovely site! And like I thought, this is very easy to do! Much less follow the video! Thank you for that. My question is that your yarn looks "thinner" than my bulky yarn. I typically use a 4 or 5 on my blankets. So I looked at the yarn the other day and most of what I would consider similar to this said to use a 5.5 or a 6 mm hook. Does it matter with this type of pattern to vary that differently? I've only been crocheting a little over a year and that was just teaching myself a simple blanket. 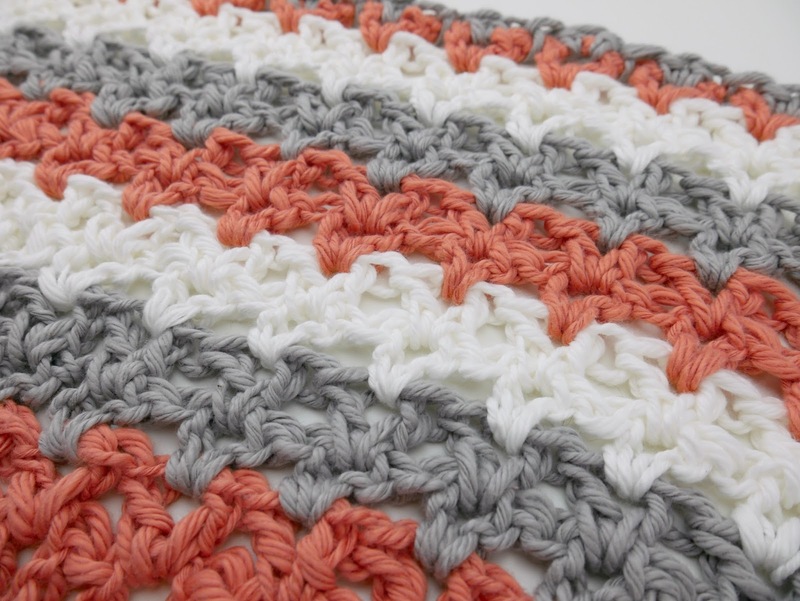 (I can't keep count very well, so I just do a simple rectangle blanket.) ;) Thanks again for the easy to follow video/pattern. Hi. 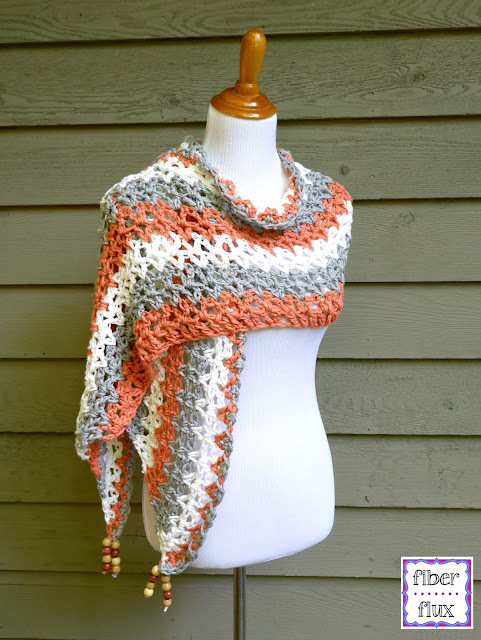 Is there a printer friendly button for this beautiful shawl? Thank you. I just did this pattern today....following the instructions to a T.....it is nowhere near a decent size, it's small...same hook same yarn. It now belongs to my 10 yr old daughter. lol....I will do another one tomorrow...with way more chains to start it. I made this..very easy. Made it with a thicker wool. 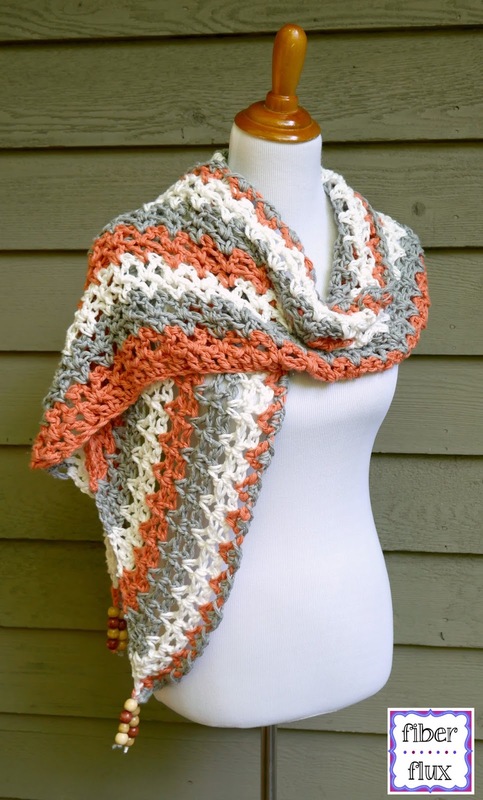 Want to make another one with a different not so thick yarn. Same, made it with 90 stitches and its no where the same,as the picture. Younsure thats chain 90?